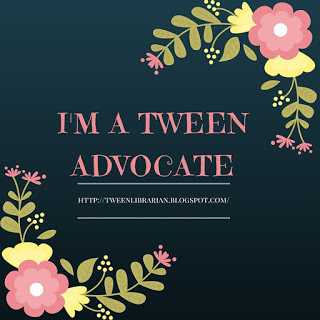 FYI: This is an adult title, but I do think older teens would enjoy it. About the Book: After a fight with her boyfriend one evening, Alexandra is wandering the streets of Chicago when she comes across the Night Bookmobile. There's something familiar about this bookmobile and she realizes it contains every book she's ever read. But when morning comes, the bookmobile and it's kind librarian move on. Alexandra spends years searching for the bookmobile and reading and adding to her collection. Her search for the mysterious bookmobile becomes and obsession as Alexandra longs to be reunited with her bookmobile. GreenBeanTeenQueen Says: The Night Bookmobile is hauntingly good. If you're an avid reader and a book lover, you'll find yourself in Alexandra. The book is fairly short and the illustrations aren't always superb, but the story is what sells this book and if you are a booklover, know booklovers, or are a librarian, you'll want to pick up a copy of this book. 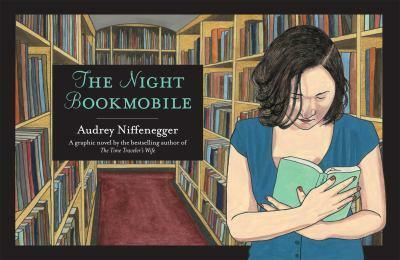 The Night Bookmobile is a love story to books from a reader. How do books affect our lives? What do they say about us, what we were doing at the moment we read them, and who we were and who we've become? Do our reading tastes grow and change as we do? As much as The Night Bookmobile is a love story, it's also warning-do not get so wrapped up in books that you forget everything and everyone else. As fantastic as books can be, they are not to be your life force. I thought this was especially interesting coming from an author. An author writing a book with a warning about not wasting your life away reading books? OK, I know we should have other hobbies and not give up human communication for a book, but it struck me as a little strange that an author was writing a book to warn against reading. I don't think all authors want their readers to be hermits, but I would think authors would want their readers to be booklovers. But as someone who blogs about books, reads books on a daily basis, is surrounded by books on a daily basis, and am dependant on books for my career, maybe that is a reminder that I need to read. I would have liked more characterization in Alexandra-more to her back story and why she was so motivated to get back to the bookmobile. The ending also felt a little rushed and I wanted to know Alexandra more to fully understand the ending. I do think The Night Bookmobile is a brave story and it's one that haunt readers long after they read it. I agree. This book was touching and I saw myself in it, but I didn't want it to end so suddenly. Thanks for the review! I have heard so many good things about this book from other librarians and I can't wait to read it!!! Oooh, it sounds sort of like the Twilight Zone!